Honestly, I was never a big fan of Shakespeare. Even though I’m from South Korea, I grew up all around the world, including countries like Costa Rica and Saudi Arabia, because my dad is a diplomat. He was brought to the UN to work as the Secretary General’s special assistant, which got my family a ticket to live in New York City. Before seventh grade, I was never really fond of English; however, this year, I started to favor it, because of my wonderful teacher, Ms. Voskov, and the interesting curriculum of this grade. However, the idea that we’re going to study Shakespeare caught me by surprise. Not that I didn’t want to know about the plays and tales: I’ve always thought of them as fun, and majestic. The thing that concerned me was the excessively difficult vocabulary. I started to read the play Twelfth Night and it was very exciting, but also very hard to understand. All these new vocabulary words started to swirl around my head like a tempest. Another thing that worries me is if I will be behind the whole class, because of my lack of knowledge on Shakespeare. I hope that we will learn how to read and learn about Shakespeare in a slow but steady pace. Though I have many concerns, I am also excited about how we’ll be learning in a “performance-based” way. I’m very excited to experience the play itself, by acting it out, and I’m looking forward to reading and studying the play, Twelfth Night. My name is Lois and I am a seventh grade student. In my English class, Shakespeare is our new unit of study. Twelfth Night is a comedic play that Shakespeare wrote and I, unfortunately, know nothing about it. It makes me very nervous to learn more because the style he uses to write is Elizabethan English, which is not used in present day English and quite hard to understand. But I am very excited to learn more about the stories and poems that made Shakespeare so very famous. I was first introduced to Shakespeare in second grade, when I chose him as the subject of my “Person who Made a Difference” project. That summer, I begged my parents to enroll me in a local children’s Shakespeare workshop, “Child’s Play NY.” Our first play was an abridged version of Macbeth, and I was thrilled to play Lady Macbeth. Since then, I have gone on to participate in 9 Shakespeare plays with the same program. I feel that participating in these productions has opened my eyes to how timeless and universal the works of Shakespeare are. They incorporate a wide range of human emotions: love, jealousy, rage, revenge,… all still aspects of our modern day-to-day lives. 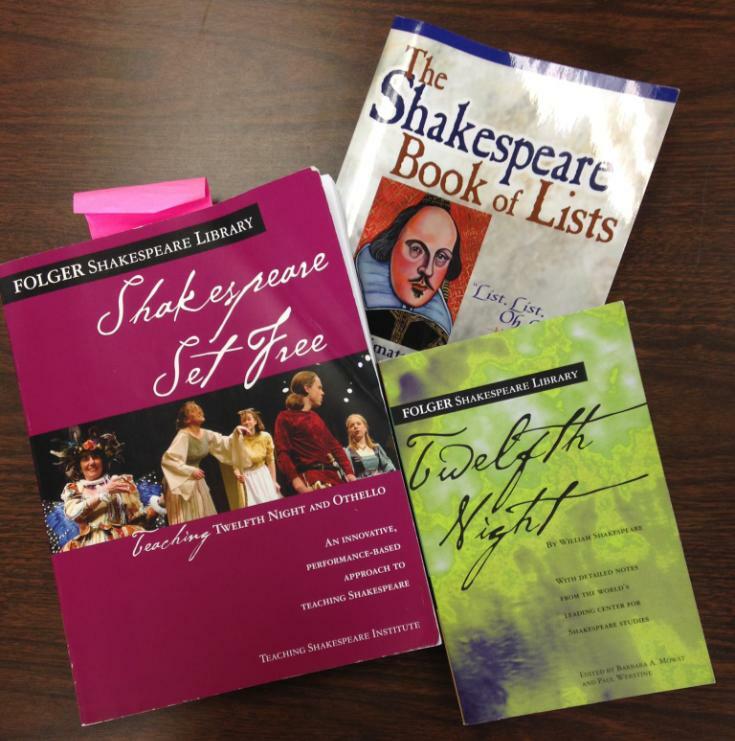 Twelfth Night is one of my favorite plays, and I am thrilled that we are going to be studying it in class. When I performed, a few years ago, I played Olivia, the countess. One of my favorite parts about portraying her, was that she was so easily wound up in all the comical aspects of the play by having strong relationships with characters like Orsino, Viola, Sebastian and Malvolio, and was able to contribute to the well-crafted plot. I am also excited to read Twelfth Night in class because there are so many intricate twists in the plot that will be amusing to experience with the rest of the class. This is really cool. I look forward to seeing how the unit goes. I especially love seeing a former student of mine, Won Jae!